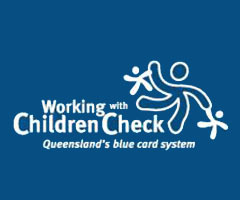 Volunteers working with children are required to hold a Blue Card which is valid for 3 years. Some volunteer activities require a Police Check. If this is required you will be advised by the Parish Office, who will assist you in completing the relevant paperwork. All costs will be met by the Parish.